When it comes to crossover SUVs, most people are just looking for some space for the family and a reliable ride. Of course, you get all of that with the 2017 Nissan Murano – but it’s the striking good looks, fuel economy, and performance that set it apart from the rest of the crowd. We could go on all day about the assets of the Murano; it features a powerful V6 engine, beautiful styling, 18-inch Aluminum Alloy wheels, advanced technology, and plenty of space,. But real drivers and auto critics have good things to say about it as well. Make the trip from Regina to Knight Nissan, your reliable Saskatoon Nissan dealership. 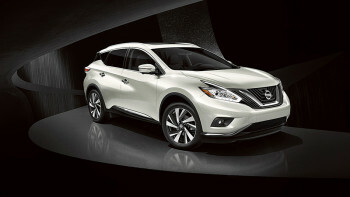 With its unique and sleek exterior, and luxurious and roomy interior, the Murano is winning people over with its sleek aesthetic. It’s definitely in a league of its own compared to other crossover SUVs in its class. Kelley Blue Book praises it for interior that’s on par with that of a Lexus, its ample interior space, and its aerodynamic details. So what’s not to like? Everyone’s got plenty of good things to say about the 2017 Nissan Murano. From its unique and sleek styling and incredible performance to its fuel efficiency and technology, it’s hard to look away from this gem. And don’t just take our word for it – visit our dealership to see it for yourself! Feel free to contact us in advance to schedule a test drive. Drive through Swift Current in style by getting behind the wheel of the 2017 Nissan Murano.